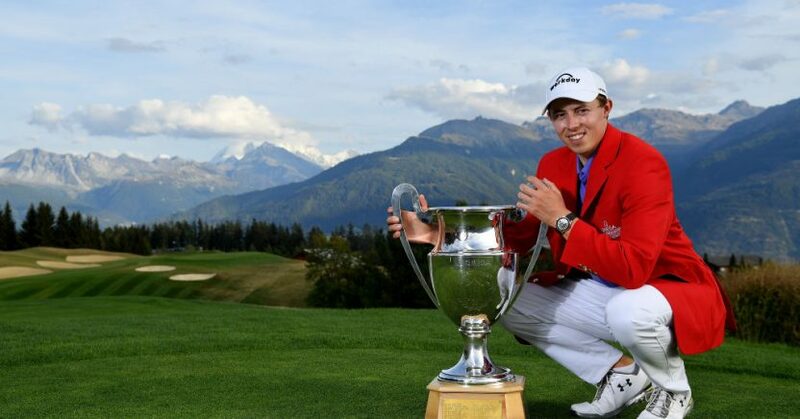 Matt Fitzpatrick put some of the disappointment of missing out on a place in Europe’s Ryder Cup team when winning the Omega European Masters at Crans-sur-Sierre Golf Club in Switzerland. The 24 year old Yorkshireman beat Denmark’s Lucas Bjerregaard in a play-off to become the first player in 40 years to successfully defend the title. Fitzpatrick, who narrowly missed out on automatic qualification for the Ryder Cup, started the day four shots ahead of Bjerregaard, but the Dane carded a brilliant 63 to set the target at 17 under, and Fitzpatrick had to birdie the last to take it to extra holes. Fitzpatrick then put his approach to 12 feet on the first trip back up 18, and another birdie saw him become the first player since the Seve Ballesteros to win back-to-back titles at Crans-sur-Sierre. The final round developed into a three-way battle between Fitzpatrick, Bjerregaard and Frenchman Mike Lorenzo-Vera, until the latter bogeyed the last after finding the water. Lorenzo-Vera finished at 15 under, three shots clear of Spaniard Nacho Elvira and four ahead of England’s Daniel Brooks.